Welcome aboard the MSC Seaside! If you have time before the cruise, check out Miami. Miami is a city of wildly diverse districts, jigsawed into a vast urban corridor from two technically separate cities: mainland Miami and the huge sand bar known as Miami Beach. Tucked away in the Miami-Dade Cultural Center are the city’s excellent history and art museums, while Bayside Marketplace is the staging post for boat tours of Miami’s most exclusive offshore keys.To the north sits the city’s buzziest neighborhood, the strip of land along and around Biscayne Boulevard, known as the Biscayne Corridor; it includes the dazzling Performing Arts Center, the art galleries and showrooms of Wynwood. Lilandra Ra and Aron Ra will give a presentation while we are underway. Read more about them on the speaker page. After the talk, head up to the pool, chat with fellow freethinkers over a cocktail, join in on karaoke, or enjoy the many other on-board activities. Check out the great variety of activities on the ship page. Ocho Rios is situated on the northern coast of the island of Jamaica, midway between the capital, Kingston, and the popular tourist resort of Montego Bay. The Spanish translation of Ocho Rios is “eight rivers,” but the area is best known for its abundance of waterfalls. The shoreline is dotted with one hotel resort after another, with the Caribbean’s trademark warm sands and turquoise waters in their backyards. Beyond the shoreline, rainforest-like greenery blankets the mountainous landscape. On Main Street, you will be able to shop or pass your day on solid ground. You might want to try the many outdoor activities offered on its rivers, such as kayaking and tubing. With an MSC excursion, you will be able to admire the Cobaya Gardens and Museum. Another must-see attraction are the waterfalls along the Dunn River: almost 650 feet of natural steps over which the water flows to then fall about 200 feet directly into the sea. Georgetown is the capital of the Cayman Islands and one of the most popular cruise ship destinations in the Caribbean, thanks to its year-round tropical weather, white sand beaches and clear blue waters. Don’t miss Stingray City and diving and snork eling near the coral reef. Georgetown offers plenty of duty-free shopping, restaurants and cafes. 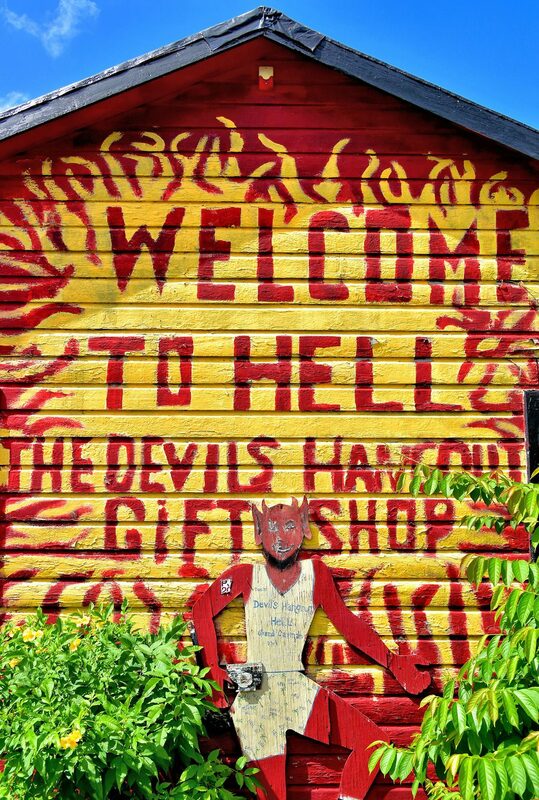 There is also the opportunity to visit ‘Hell’. Hell is a group of short, black, limestone formations located in Grand Cayman, Cayman Islands. Located in West Bay, it is roughly the size of half a football field. Along the way to Hell, on the way, enjoy sights of the prestigious Governor’s Residence and traditional Caymanite homes. you’ll drive by and learn about the famous Seven Mile Beach–white sand as far as the eye can see. Cozumel, measuring just 28 miles long and 10 miles wide, lies off the coast of the country’s Yucatan peninsula and offers incredibly a wide variety of options for water sports-lovers. Along with snorkeling, beach bumming and boating, scuba diving along the coral reefs is one of the biggest draws to this sunny destination. Lilandra Ra and Aron Ra will give another presentation during the day. After the talk, relax, swim, chat with fellow freethinkers over a cocktail, join in on karaoke, or enjoy the many other on-board activities. Check out all of those on the ship page. MSC Cruises has helped the Bahamas set up an environmental paradise and an exc lusive spot for vacationing in harmony with nature in one of its most astonishing locations: Ocean Cay MSC Marine Reserve. You will discover seven splendid beaches where you can relax, snorkle or get a massage. The crown jewel of Ocean Cay is the aquatic sports activities, suitable for adults and children. MSC Cruises excursions include an underwater exploration of the MSC Marine Reserve with diverse tropical underwater life. The attractions of this unique island also include its seaside restaurants and tiki bars, while the expert staff of Aurea Spa will offer massages and beauty treatments in sea view cabanas. Before leaving South Florida, consider checking out Miami. If you’re sticking to the most popular areas in Miami Beach and downtown, though, you can zip around easily by bus and on foot. During an MSC cruise in the Caribbean most people spend their time in South Beach, a fairly small area at the southern end of the sand bar, where you’ll find many of Florida’s leading art galleries and great restaurants. 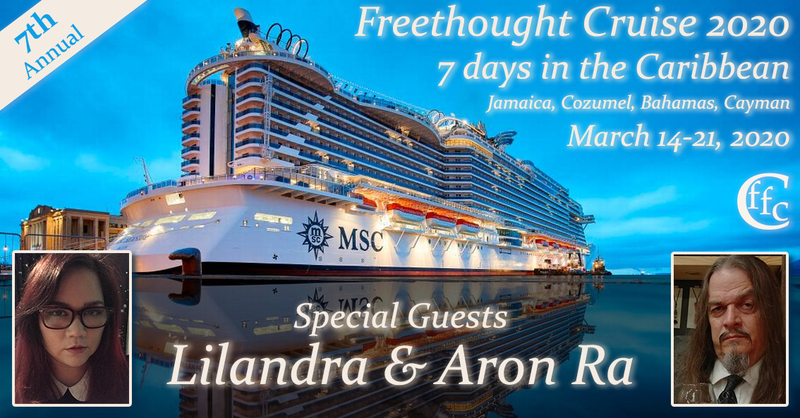 The Freethought Cruise is about fun and fellowship; not fundraising. This not-for-profit event is sponsored by the Central Florida Freethought Community (cflfreethought.org).